Charger Navcom ZU-12 под заказ * 1 pcs. Tangent-loudspeaker Navcom TG-1 под заказ * 1 pcs. Accumulator battery Navcom AP-1500 под заказ * 1 pcs. CPC-303 - is a wearable VHF radio. The station organizes the dispatch radio communications between vessels inland and combined navigation. A distinctive feature is the high degree of protection against water IP67, which allows CPC-303 is in the water up to 3 hours without disrupting the performance and specifications. Moreover rugged radios can withstand a drop into the water from a height of 20 meters. 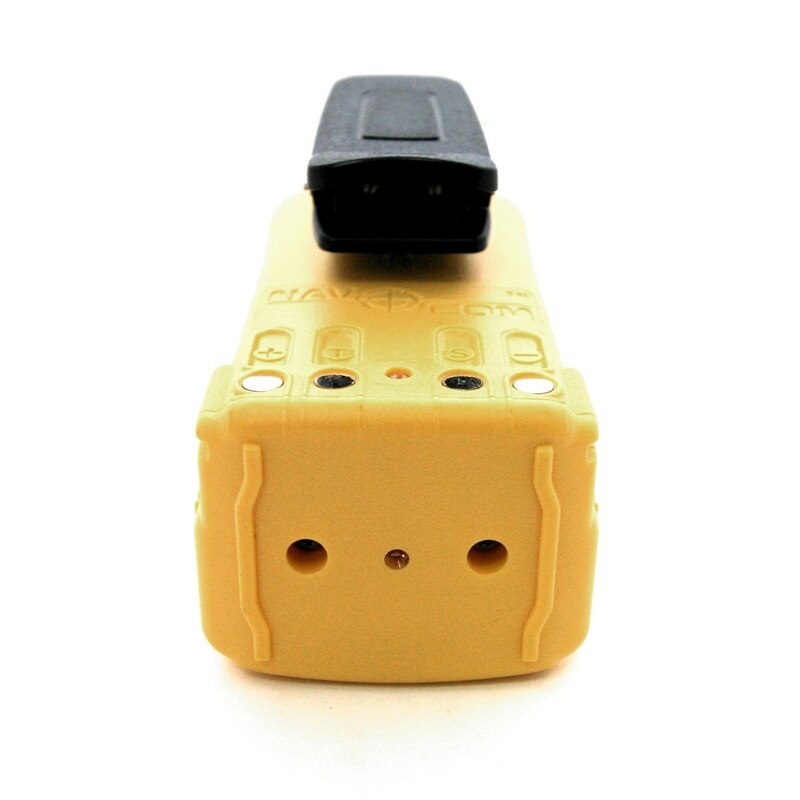 Radio has a bright yellow body, which allows for easy location during daytime. If the product has been in the water at night, an additional red LED lights. CPC-303 is certified by the Russian River Register. The design of the station CPC-303 is a single unit shockproof, removable compartment for a lithium-ion battery. Also, the device is equipped with a clip that rotates 360 degrees to maximize prevent accidental release At the station wear. Additionally, you can connect the TG-1 headset for a more comfortable communication. Services to monitor ice conditions.